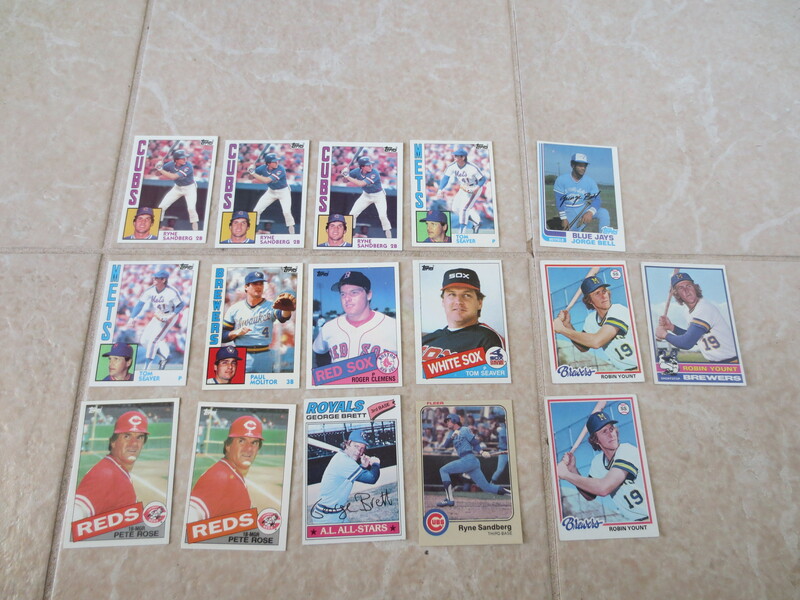 Lot Detail - (16) 1970's and 1980's Hall of Famer baseball cards Take a look! (16) 1970's and 1980's Hall of Famer baseball cards Take a look! What we have here are sixteen baseball cards of Hall of Famers from the 1970's and 80's. The cards are of Robin Yount, Ryne Sandberg, George Brett, Tom Seaver, George Bell, Paul Molitor, Roger Clemens, and Pete Rose. There is duplication.